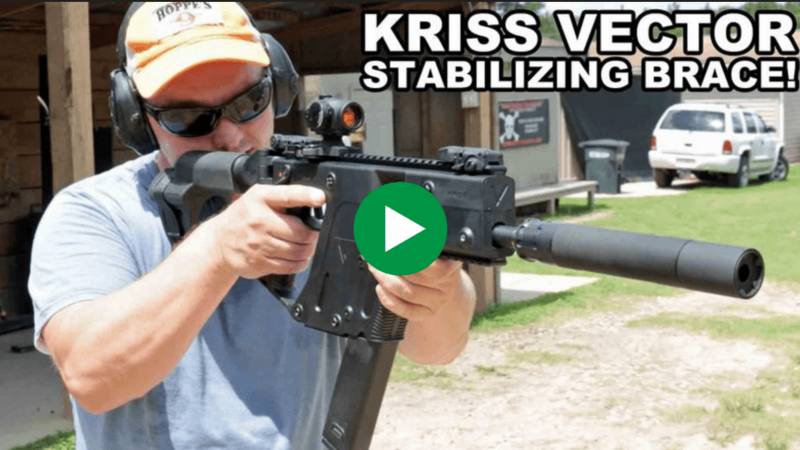 Blog KRISS Vector Pistol with Stabilizing Brace! 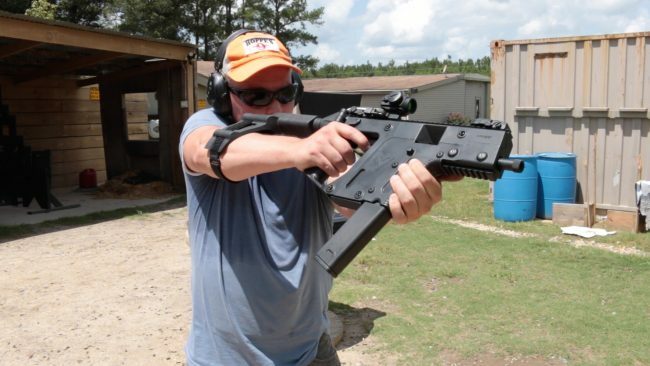 KRISS Vector Pistol with Stabilizing Brace! The stabilizing brace makes an effective cheek weld for a third point of contact. The KRISS Vector seems to pop up in nearly every scifi movie made these days, due largely to its unique aesthetics borne from its Super V recoil system. Now on its second generation, the Vector has been available in submachine gun, SBR, carbine and pistol variants in five different pistol calibers for some time. 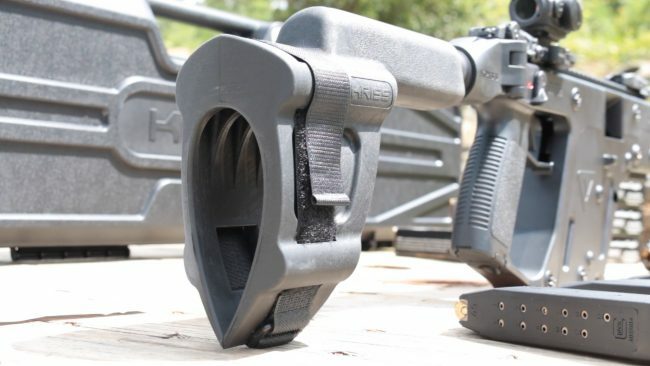 SB Tactical provides the brace for the Vector SDP-SB. The latest development from KRISS is the availability of a pistol with a factory installed stabilizing brace, called the SDP-SB, and the capital “S” and “B” are not coincidental. The brace comes from SB Tactical, the originator of the idea. This means that the design incorporates all of the features necessary to allow effective use as both an arm strap as well as a cheek weld. Other designs can fall short on one or the other as they work to get around SB Tactical’s patents. In testing with American Eagle and Speer Gold Dot ammunition, I found the SDP-SP to be much more controllable than the standard Vector pistol. When used as a cheek rest, the third point of contact made finding the dot in my Aimpoint T1 as fast as when shouldering a carbine. During recoil the T1 never strayed beyond the edges of the target even when doing a moderately paced mag dump. The stabilizing brace works best for me with an extended hold at a 45 degree angle. When strapped to my arm, the SDP-SP was even more controllable. However, I did find myself hunting for the dot in my T1 just as I did when I first used a Trijicon RMR on my Glock. Training can overcome this, but it won’t be automatic. 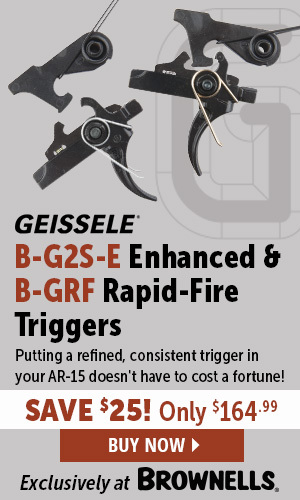 Since the Vector is designed to use Glock-compatible mags, you have the most options for magazine capacity available in each caliber along with the lowest magazine costs. KRISS sent three of their MagEx extended magazines with a capacity listed as “25+,” though I was not able to load more than 25 rounds in any of them by hand. It might be possible to shove an additional round or two in the mag with a loading tool, but I didn’t have one to try. 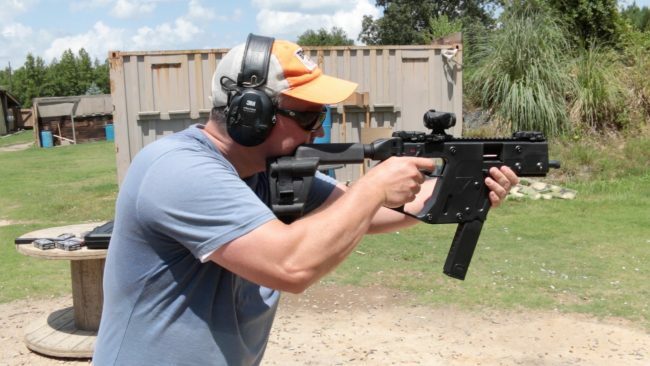 I’ve always enjoyed shooting the KRISS Vector in every variant I tried, and the SDP-SB was no exception. I do wish it had integrated sling mounts, and finding a way to attache a silencer to the M16x1 LH threads on the 45ACP fixed barrel will be a challenge. However, I do think the additional stability provided by the stabilizing brace is worth the $150 upgrade cost over the standard KRISS Vector pistol. 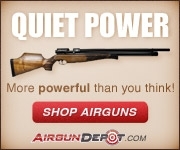 Learn more at KRISS USA or Rainier Arms.